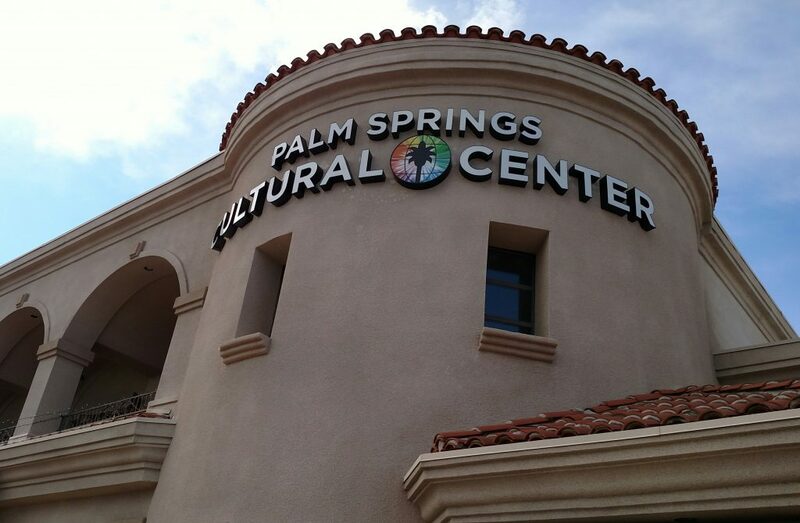 It’s official – the building at 2300 E. Baristo Rd is now The Palm Springs Cultural Center. I felt washed over by a wave of excitement and satisfaction as I turned the corner early in the morning last Saturday. Seeing the original vision of Ric and Rozene Supple come into view engenders emotion for those of us who’ve worked for the organization. The Supples always saw their rehabilitation of The Camelot as more than salvaging a classic movie theatre, and now that vision is coming to fruition. With the transition to non-profit status, our community won’t lose high quality cinema at the PSCC – it will gain the full spectrum of cultural experience and collaboration with the broader community we’ve been working towards all along. And how fitting to cap off our week of high-energy remembrance of cinematic days gone by with a Farm-To-Table dinner this Sunday, 1/28 at 6:00 p.m., showcasing everything that’s delicious and fresh right now at our Certified Farmers’ Markets. Thanks to the generous sponsorship of CFM fan and patron Charissa Farley of Farley Pavers, the tickets to this dinner represents the first fundraising benefit for the PSCC programming after our rededication! And since this is essentially a “house warming” we’re inviting all 50 dinner guests to eat as a family, at one long table, on the stage of the Historic Camelot Theatre #1, where it all began, back in 1967. 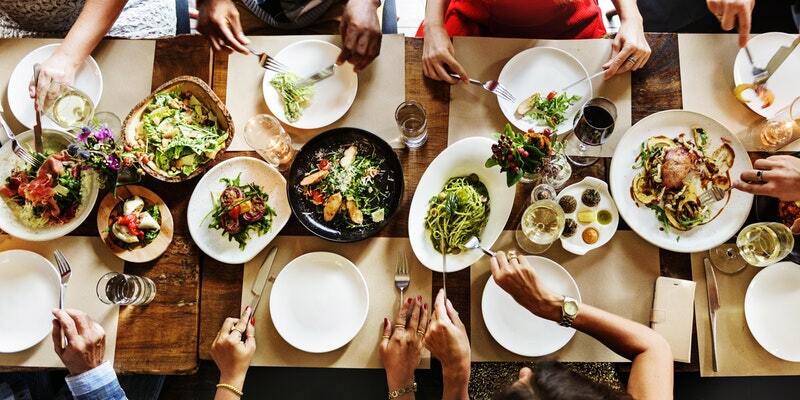 The six-course dinner, which features ingredients from almost every farm in the Markets, will take diners on a culinary journey through southern California, delighting omnivores and vegans alike. Beginning with sparkling biodynamic Rose wine from Terra Savia, Springhill cheese , fruit, bread from L’Artisan Valley Baking Co. and smoked salmon profiteroles from Hook & Line, we transition into a second course of butternut squash soup and Rodney Strong Chardonnay. Guest vendor (and two time Tamale Festival grand prize winner) Sylvia Garza from Que Mami Organics will personally introduce her two types of Organic tamales during the third course. The fourth course brings a beet and garden cress salad followed by our mains of Da-Le Ranch flank steak with chimichurri sauce and cauliflower risotto with vegan arugula pesto, complimented by platters of roasted root vegetables, braised greens and red and sweet potatoes, along with Rodney Strong Pino Noir. Finally, we’ll sweeten every tooth with Coachella Valley date cake draped with salted bourbon caramel sauce and nestled up against blood orange gelato. Decaf? Of course – Joshua Tree Coffee Co. will be in the carafes. Who is creating this spread fit for desert glitterati? 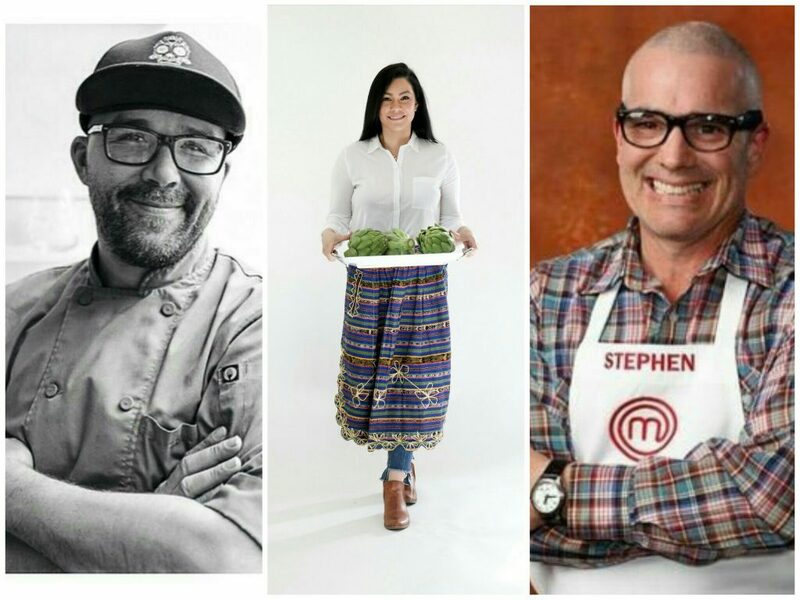 Three local Chefs who in our book best embody the “Farm-To-Table” ethic. Rob Wepplo is at the epicenter of our current Markets, running his Cafe Kist mobile restaurant using all three CFM’s as his moveable feast. Amanda Nees, the “Ace” of “Prepped By Ace” personal meal preparation, features the weekly Market finds she features in her clients’ meals on her enticing Instagram page. Stephen Lee, who before a well-publicized stint as a finalist on the Master Chef TV program did some time behind the Market table for Sage Mountain Farm (like yours truly…) after working the soil at farms up and down the Pacific coast. It took all of about 3 minutes to decide who we thought would make this 10th Annniversary meal memorable – and anyone who takes a seat at the table will soon find out why! So, have we talked you into it? Whether it’s the allure of a delicious dinner or the desire to support the next phase of the Palm Springs Cultural Center’s programming, the ticket to the future of food and culture is a click away: Buy your tickets here! Please join us.